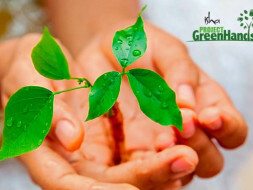 Plant trees online with Project Green Hands! Living in cities, you may not have the time and space to grow trees. Despite the hectic lifestyle you’re caught in, Project GreenHands makes it possible for you to create your own green patch with just a click away. If you are a greenie at heart, you can plant trees online and support Isha’s agro-forestry initiative. 4. Annually, 3.5 million saplings of 60 different varieties are grown in 35 nurseries and planted by people thus increasing green cover.